Feeling rather guilty of breaking a challenge (a photo a day in June) recently. Suddenly I had the opportunity to try to make amends. So I took this picture this lunchtime whilst walking to my neighbour who lives next door. I was confronted with a childhood memory which always makes me smile. The smell of fresh rain on tarmac ! 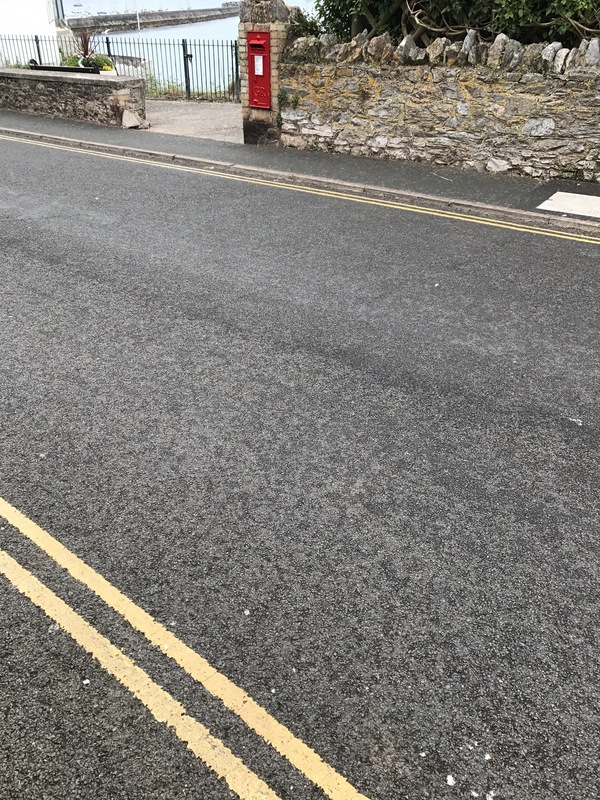 ….. Can you see the dampness on the street? Trust me, if youre not sure, place your thumb nail on the picture, close your eyes and scratch as if it were a winning lottery ticket. Now can you smell it?